It pays to play everyday. Join for free! With five ways to win and five separate cash prizes, take your shot at being a top handicapper. It pays to play every day! 5 Different Ways to Win! The deadline to make your selection is 10 minutes before post time of the first offered race. For example, if the first offered race is Race 3, the player can make a selection until 10 minutes before Race 3. 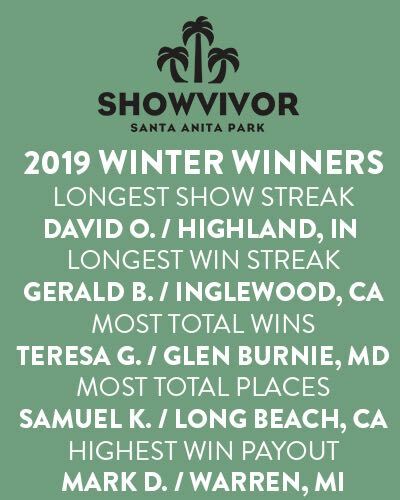 © Copyright 2019 Santa Anita Park. All rights reserved.